Where do you turn when security is your top priority? You might be accustomed to replacing locks yourself and duplicating keys at your local hardware store, but are you can’t call those guys in an emergency or if you have questions about your overall security profile. 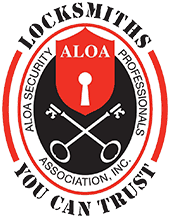 At Keyway Lock & Security, we pride ourselves on offering the Addison, IL community a full suite of locksmith services designed to keep you, your family and your business safe. Designed to be your one-stop shop for residential, commercial and automotive locksmith needs, we offer a variety of access control, key and lockout services. It matters who you invite to your house! Whether you’ve misplaced your keys and need help or want to revamp your home’s security profile, we can help. Our residential locksmith specialists sell, install and repair home locks and access control solutions that will enhance your family’s safety. Have a key fob that stopped working? Bought a used car without a key? Whether you need temporary access to your vehicle until you retrieve your keys or need complete key replacement and reprogramming, we’ve got you covered. You’ve invested so much in your business based in Addison, which is why you need to know it will be protected from intruders. Our commercial locksmith services can provide additional security to improve upon your current setup or a completely new security suite with a master key system, keypad locks or an access control system. 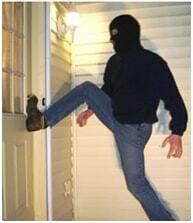 Whether you spend most of your time at work or at home, you can always benefit from a safe place to keep valuables. Wall and floor safes are a great safe deposit box alternative for items like important paperwork, jewelry, and guns. We can help you choose a safe that meets your needs and budget. Why Choose Keyway Lock & Security? We exceed your expectations. If you’ve ever had an emergency locksmith service performed, you know the entire experience can be a bit, well, weird. After all, you’re allowing a complete stranger access to your business, home or vehicle. Our service technicians are true professionals who arrive at your location uniformed and ready to work. We are licensed and insured. When you’re dealing with security, you need to know the company you’re working with has your best interest in mind. Our technicians are licensed and insured so you can be confident you’re working with a skilled locksmith. We are trusted. After more than a decade in business, we’ve become the area’s first choice for reliable locksmith services. We’re committed to keeping Addison families and businesses safe and our dedication is evidenced by our endorsements. 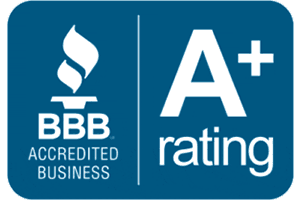 We hold an A+ rating with the Better Business Bureau and are members of ALOA, the Fair Trade Locksmith Directory and 1-800-Unlocks. If you need a locksmith in Addison, IL, look no further than the team at Keyway Lock & Security. We can do everything from lock picking and key duplication to access control installation and safe repair. Contact us today to schedule an appointment.